Chances are: you’re not the only one who thinks your community needs better broadband.  Fiber builds empowered communities: boosting government services, supporting economic development and improving health and education outcomes for community residents. Local businesses, schools, libraries, economic development organizations, and nonprofits like the Boys and Girls Club can form strong and diverse coalitions that will give policymakers and providers ample support to build better broadband.